The first time I bought quinoa, I cooked it without any seasonings. I tasted it, shrugged my shoulders and then put it back in the pantry. This COULDN'T be the same quinoa that people were raving about could it? What I found out (much later) was that you have to add veggies, spices, etc. to the quinoa (while cooking) and then something magical happens. Quinoa takes on the attitude of whatever you cook it with......want beefy? cook it in beef broth, want it spicy? cook it with Rotel tomatoes. Some people even eat it for breakfast, but I haven't tried that yet. 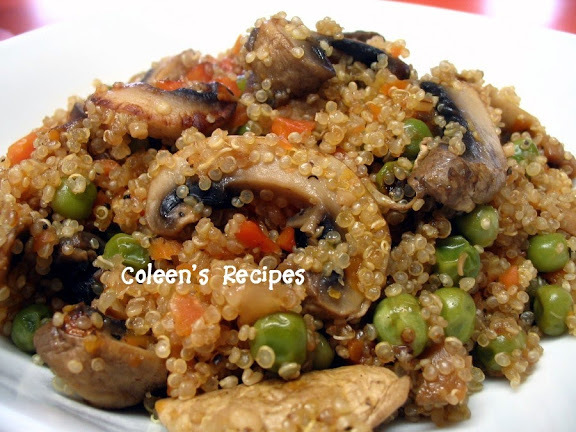 So, lately, I've been experimenting with adding different things to quinoa and this beefy quinoa was a hit. I hope you like it too. Prep work: Remove stems from mushrooms and put them in the food processor along with the carrot. Pulse them until both vegetables are about the size of a pea. Next hand slice the mushrooms fairly thickly and set aside. Note: add as many of your favorite veggies as you want. Saute onions then scoot them over to edge of pan. Add the mushrooms and sauté them (in the onion pan) until you get some toasty brown color on the edges. 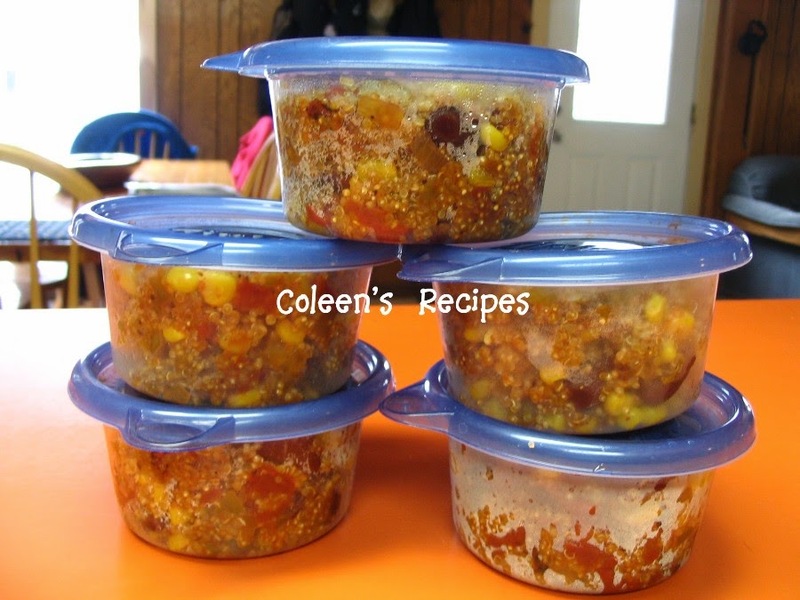 Depending on how many veggies you pack into this recipe (there is no limit), you should get 5 or 6 cups in the final dish. I freeze it in one cup measures. No need to defrost, just microwave uncovered for 2 minutes. It makes a great (and filling) lunch, with no guilt !! 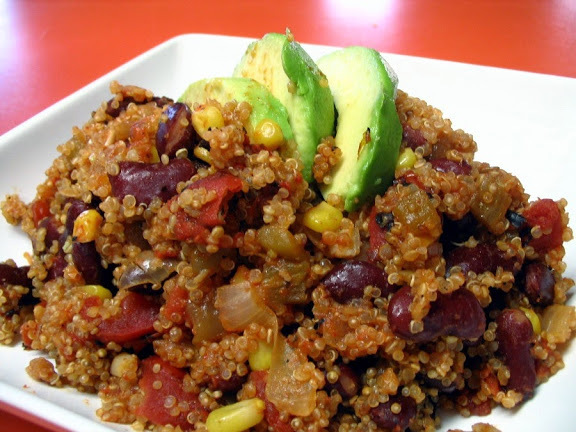 Quinoa is known as a super food for many reasons. The description of most of those reasons are words that I don't use every day, like flavonoids, phylonutrients, antioxidants, etc.